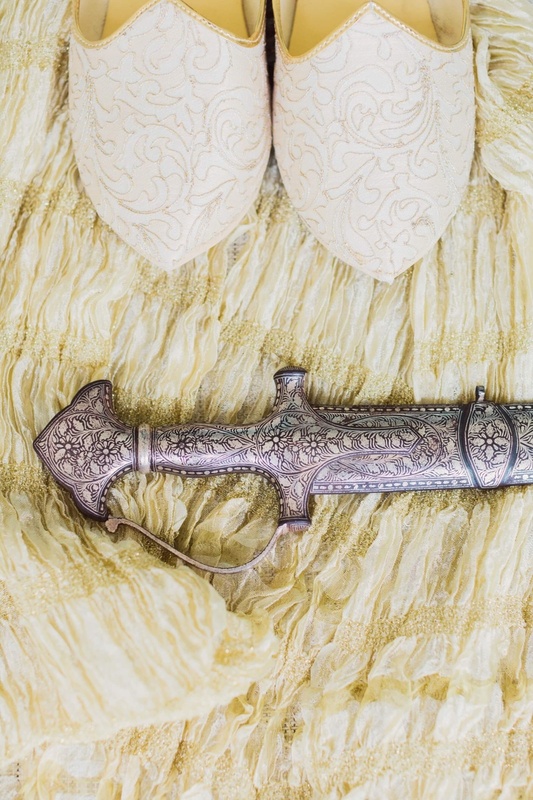 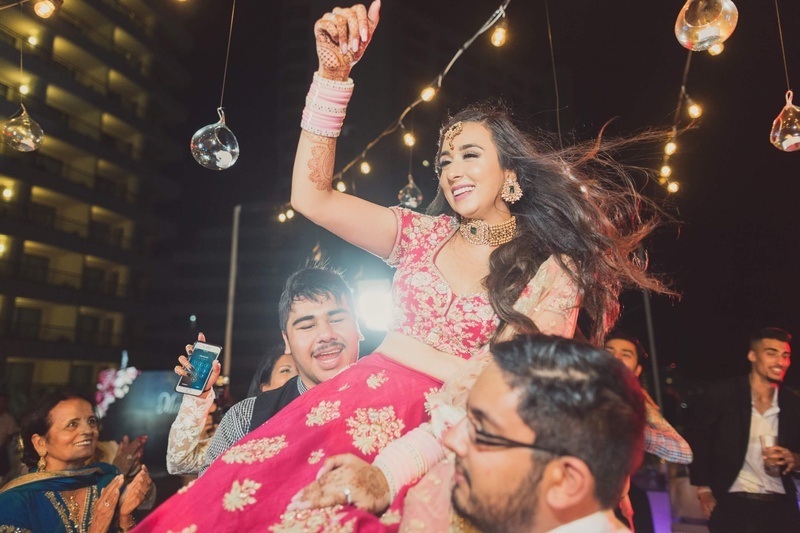 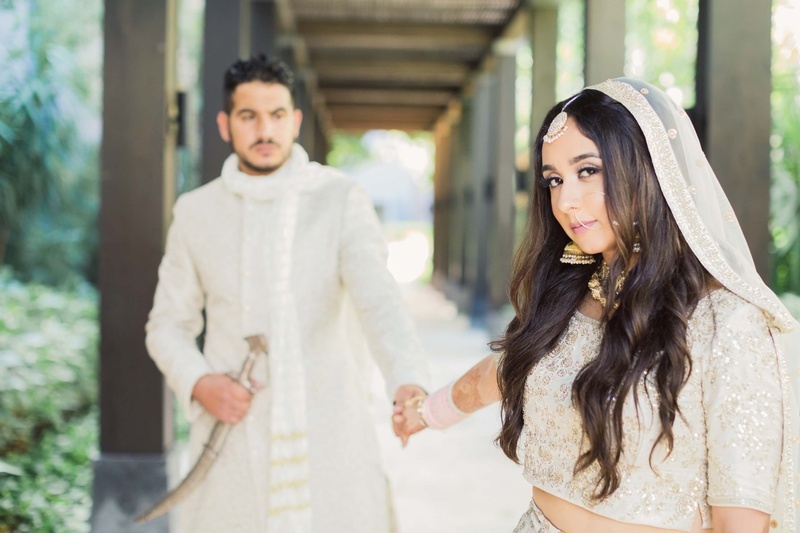 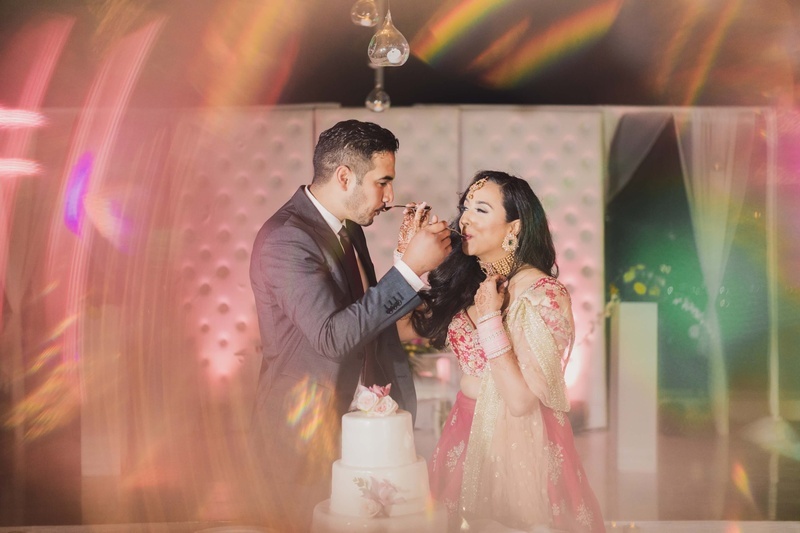 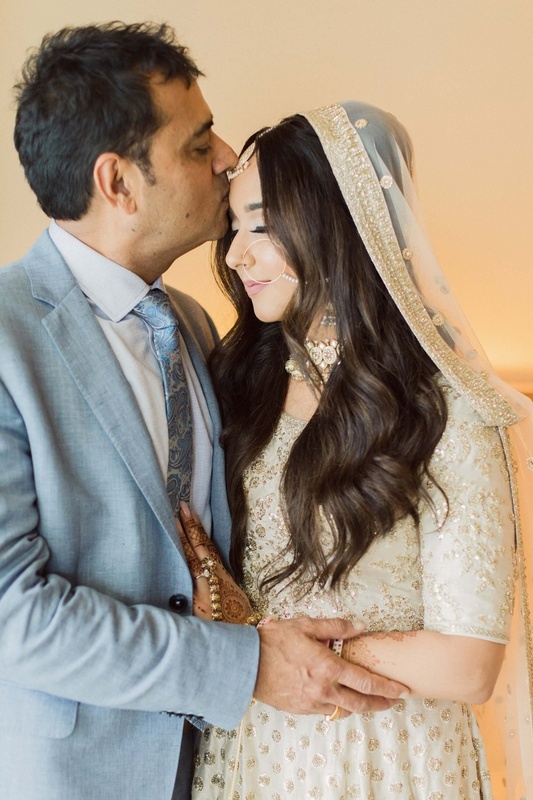 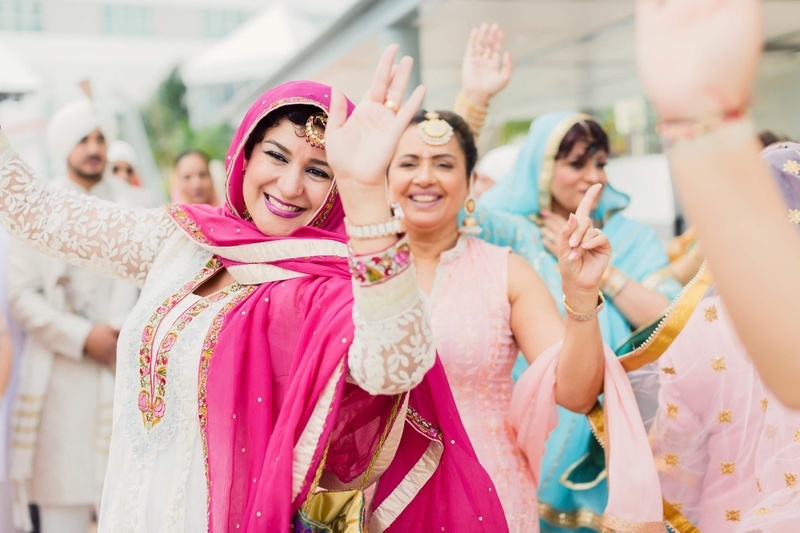 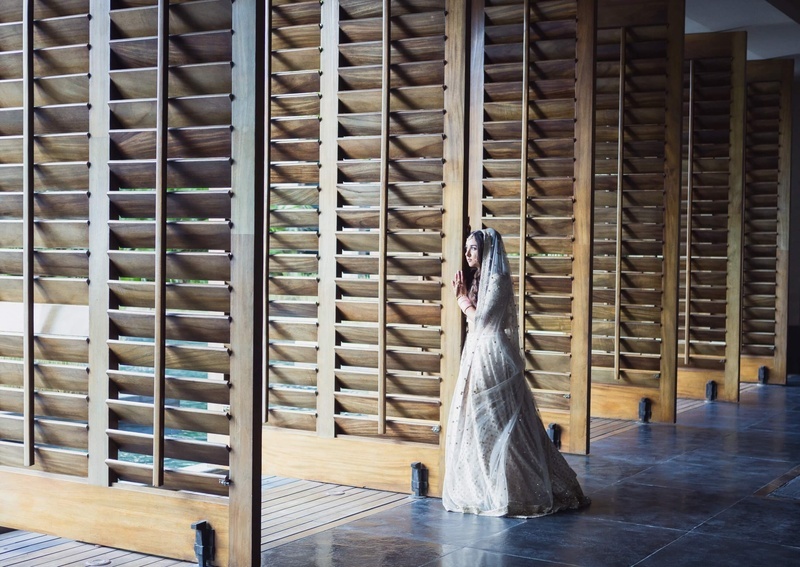 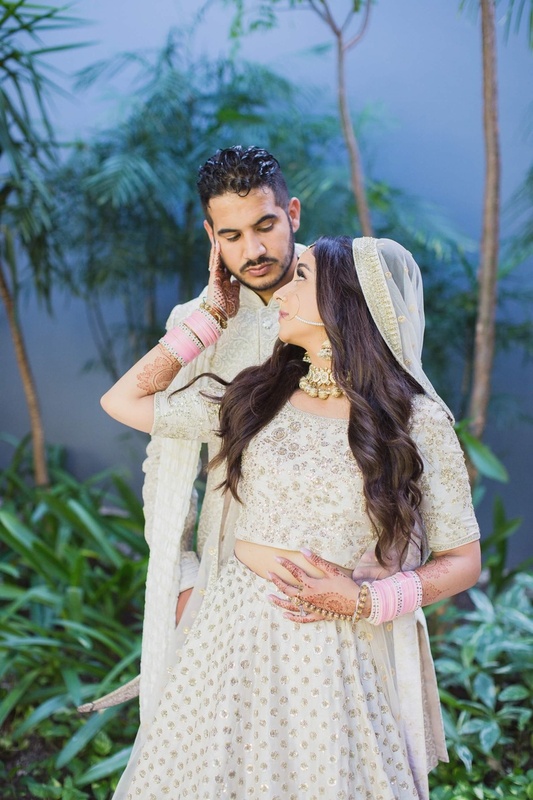 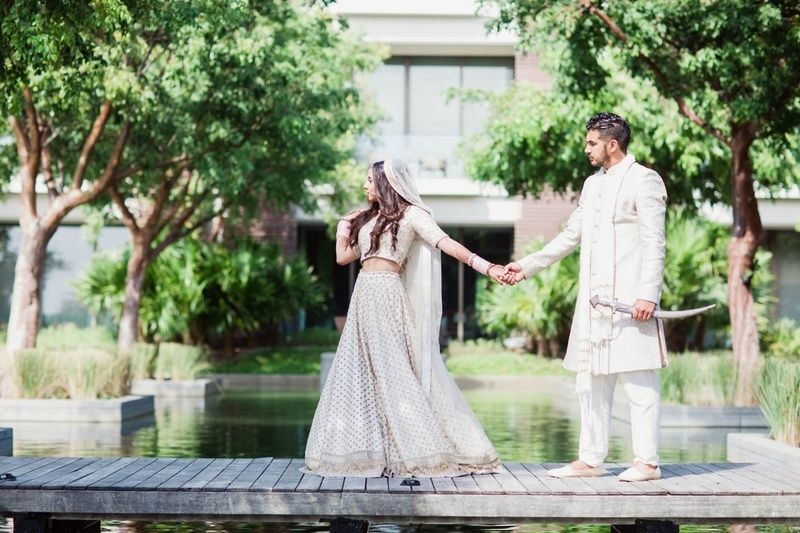 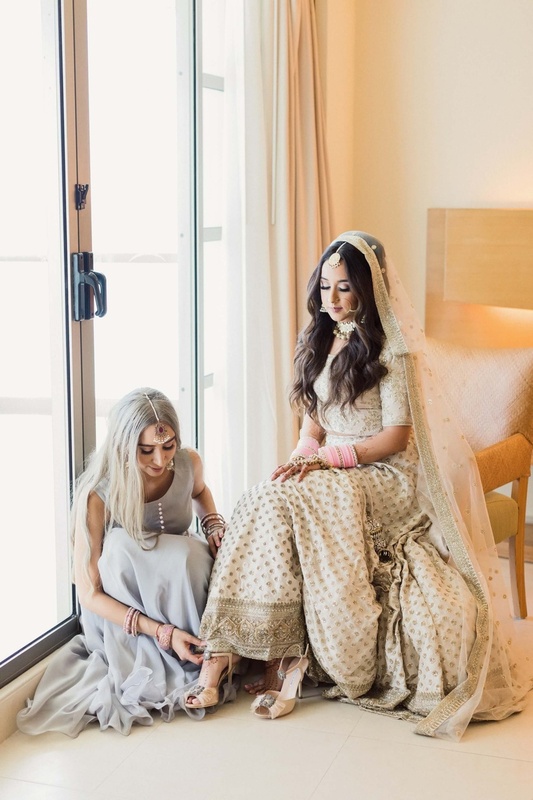 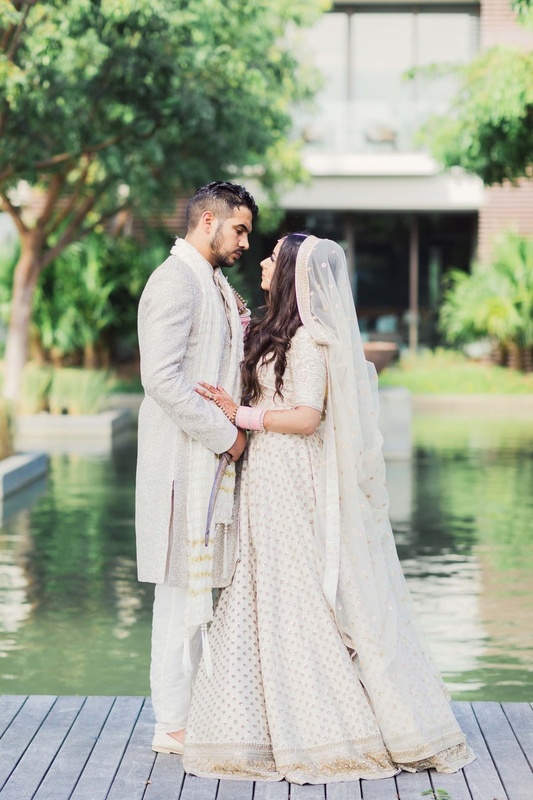 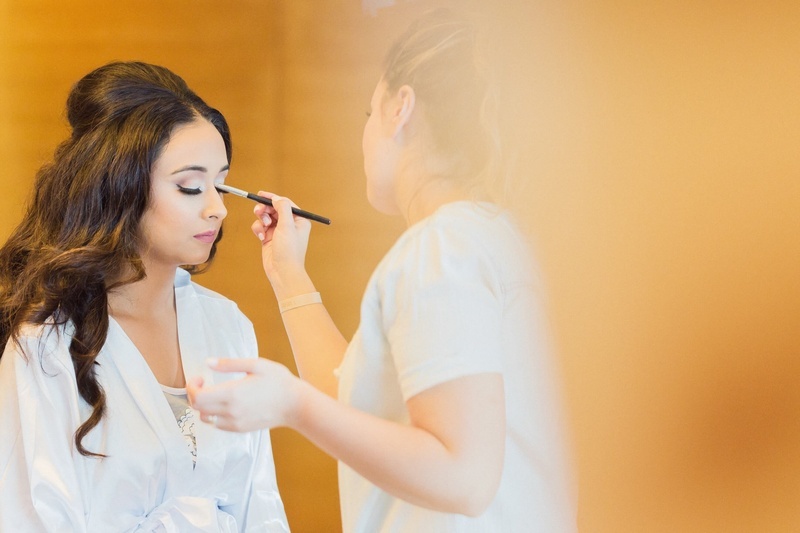 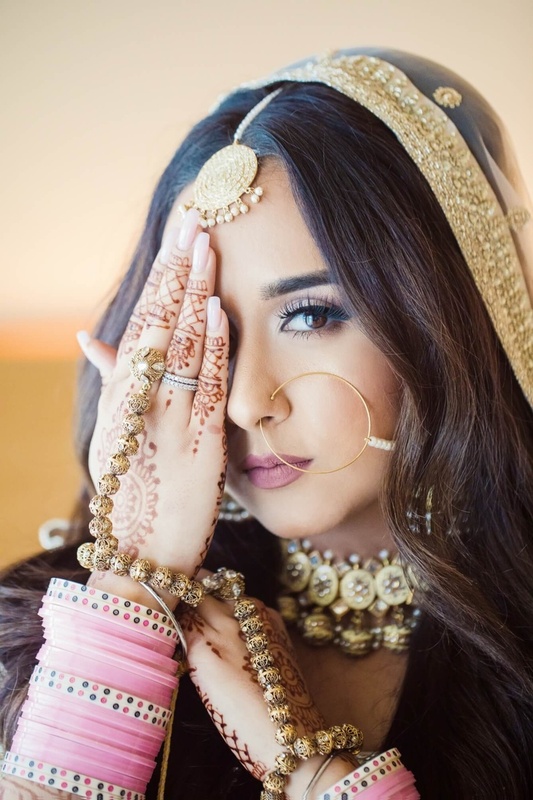 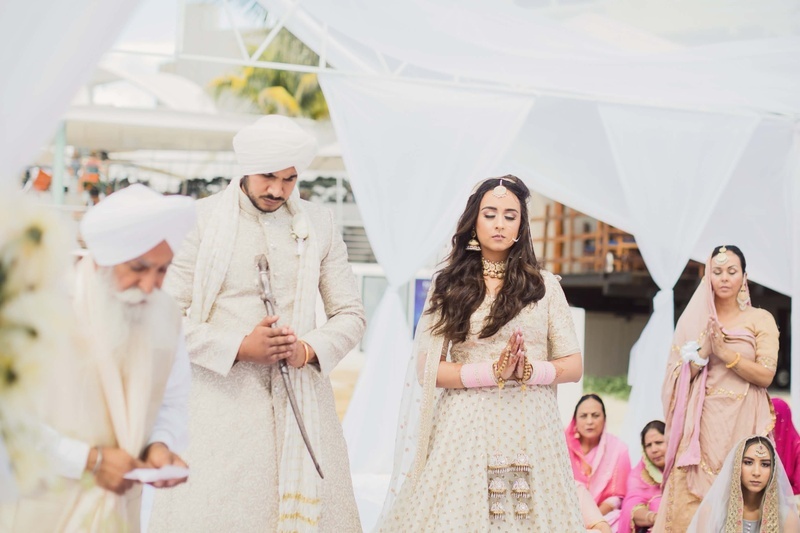 This Punjabi bride had an all white wedding and the photos are surreal! 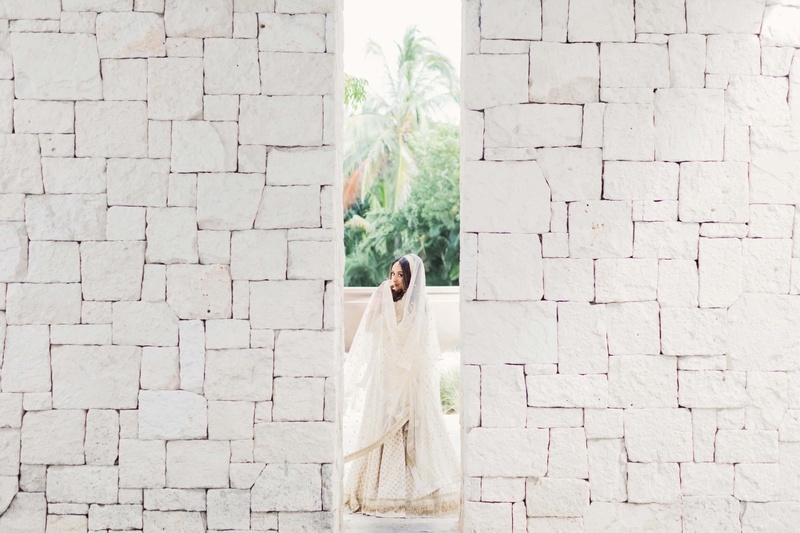 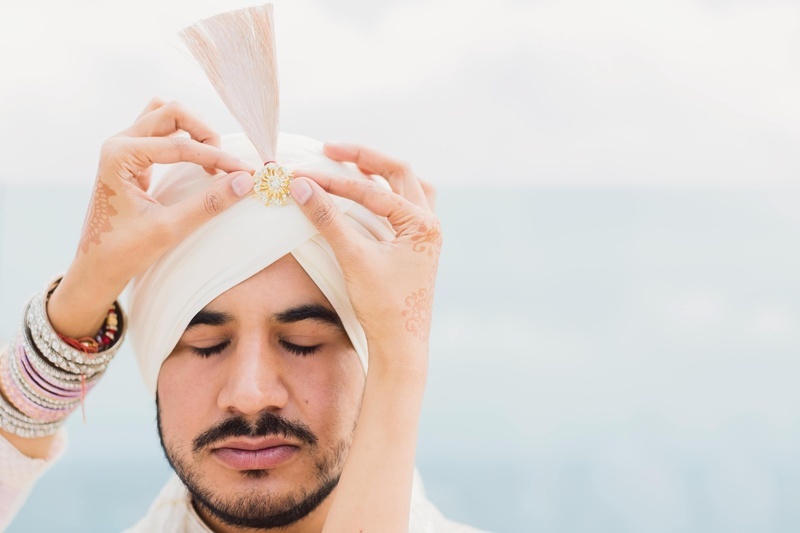 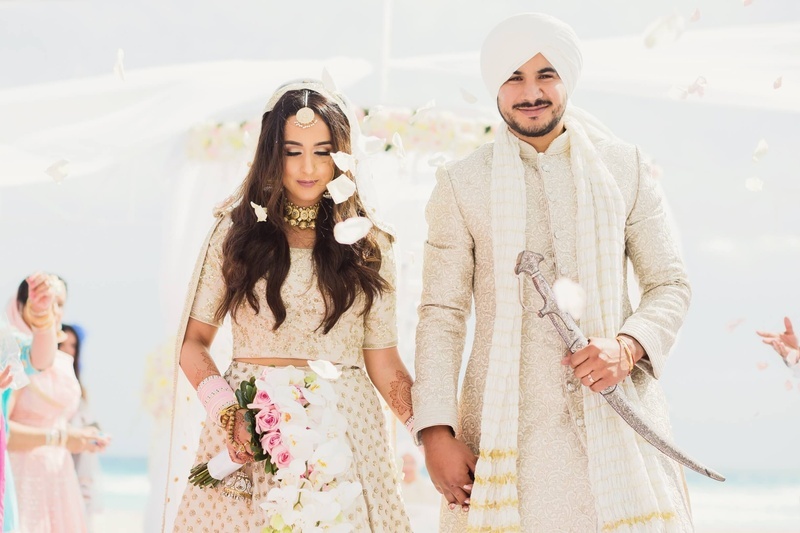 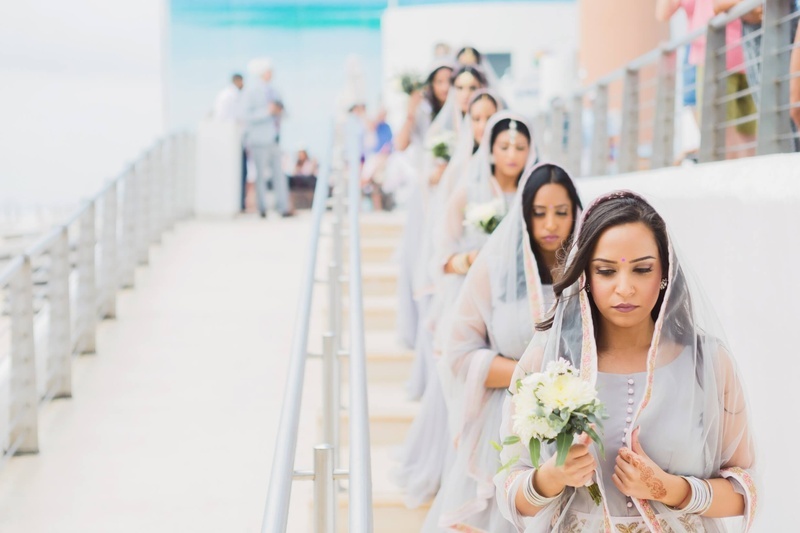 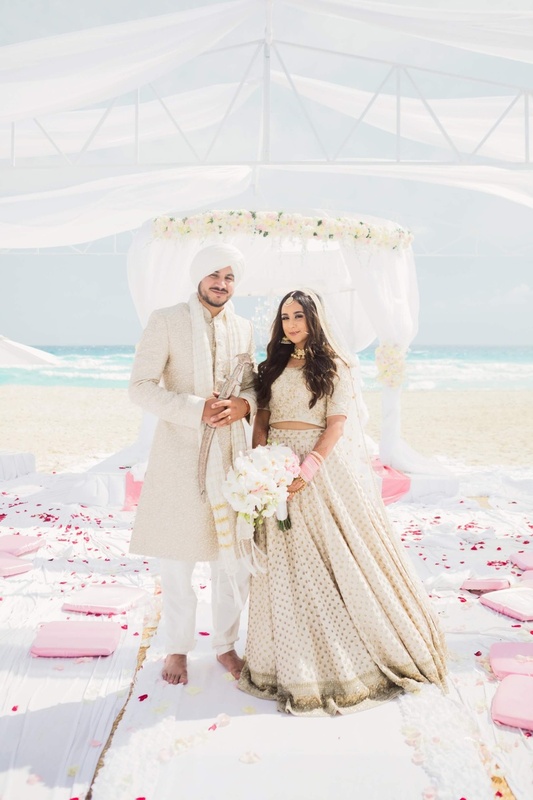 Komal and Roman, our gorgeous Sikh couple hosted an all white-themed wedding at Cancun, Mexico recently. 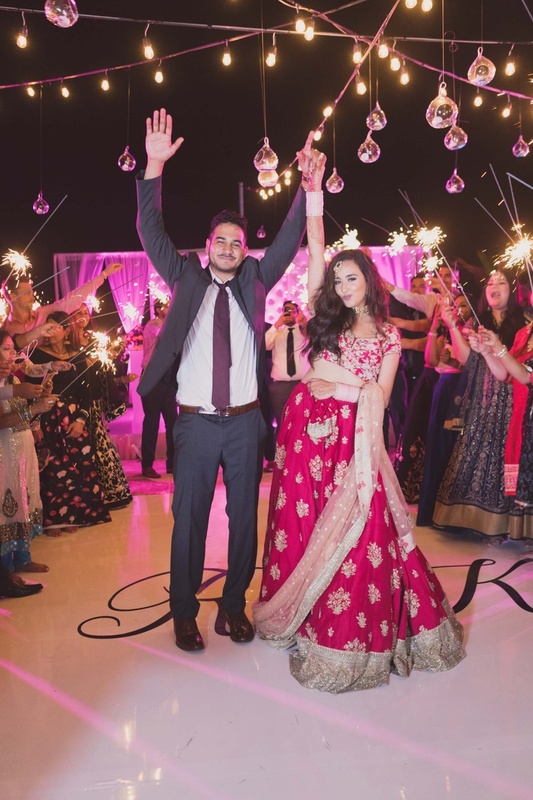 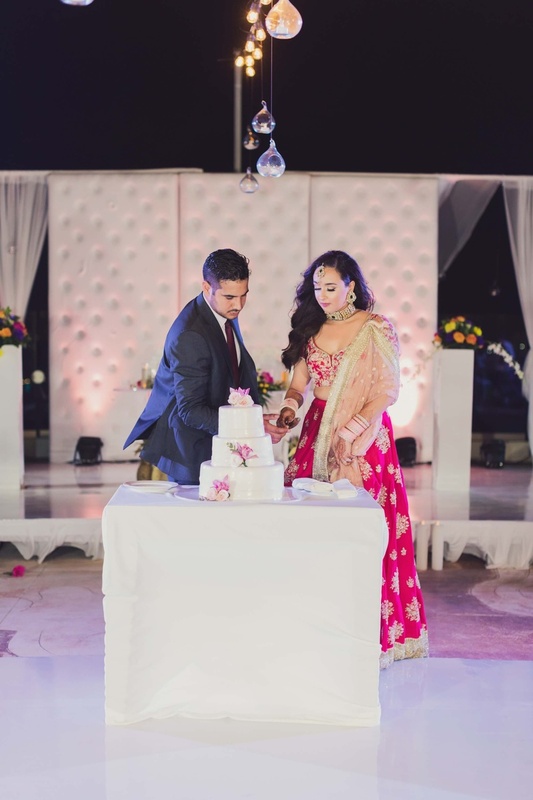 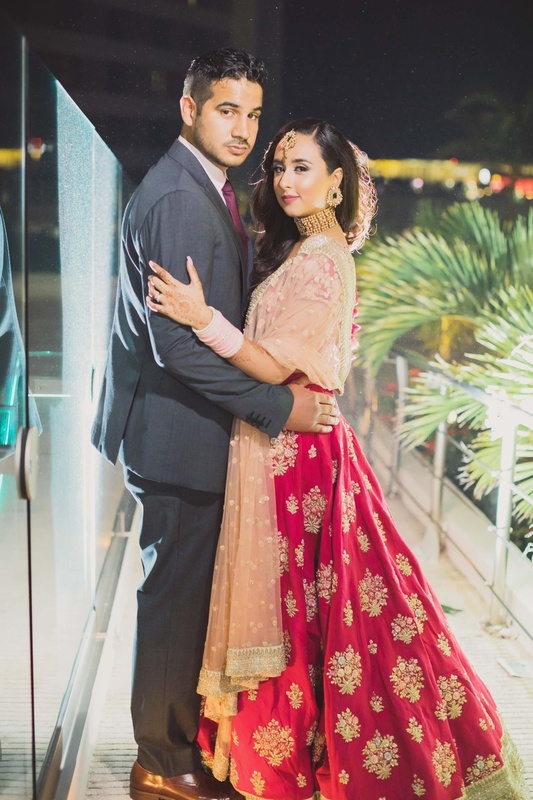 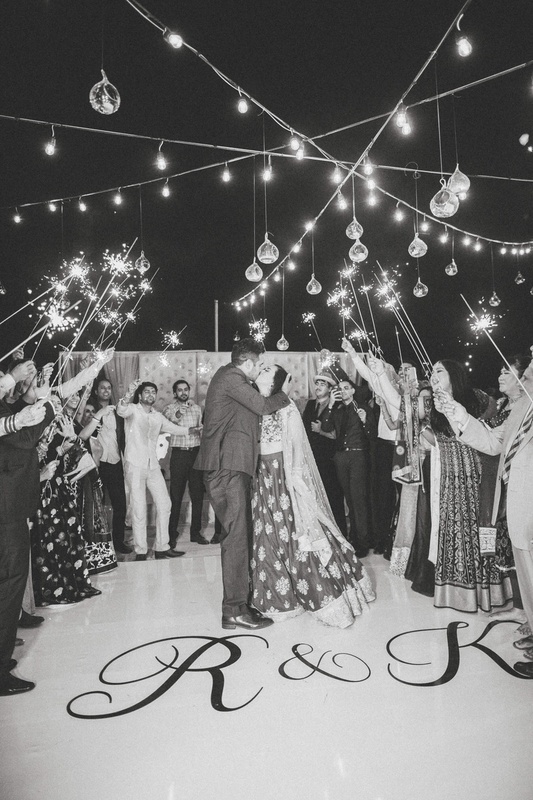 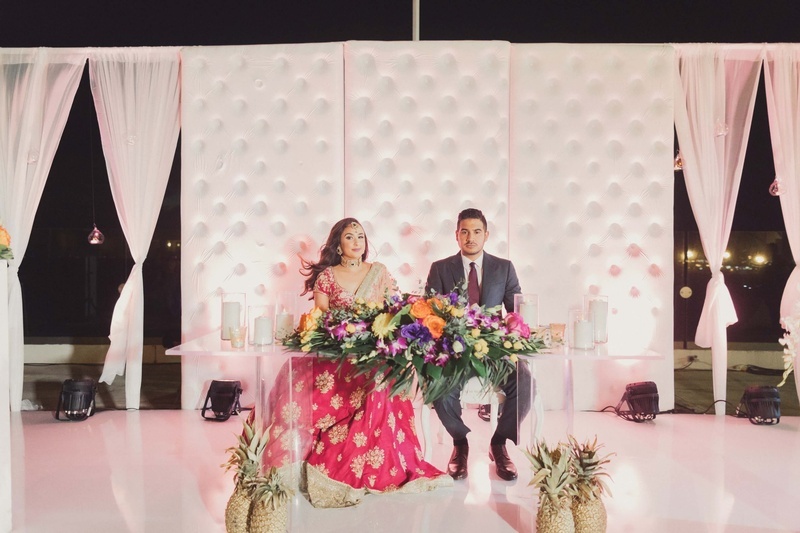 Their dreamy wedding has given us serious color coordination goals, mandap decor ideas and great ideas on how to minimally design your wedding! 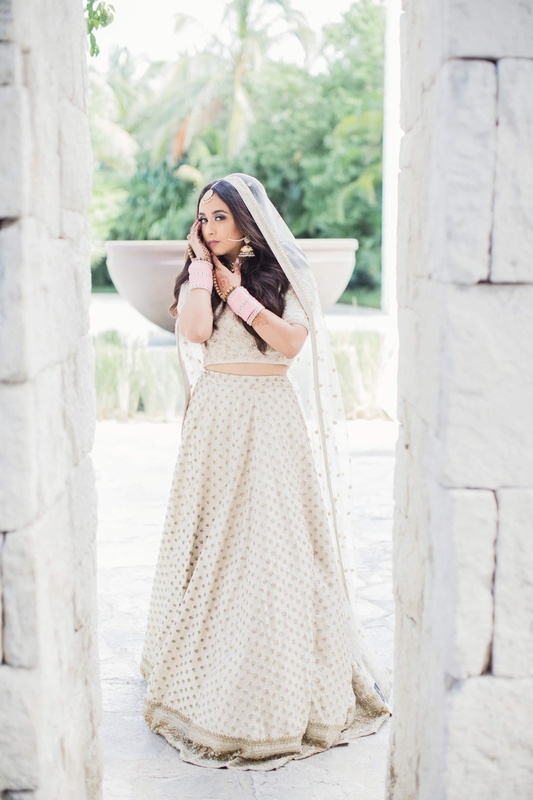 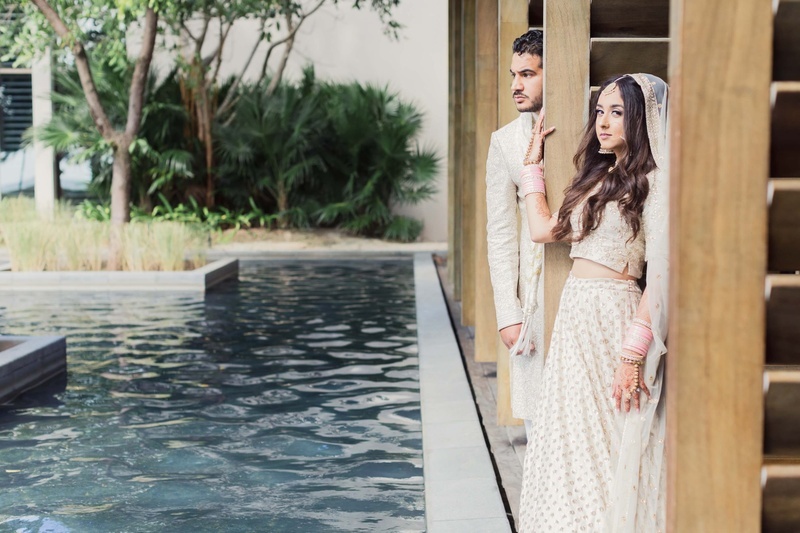 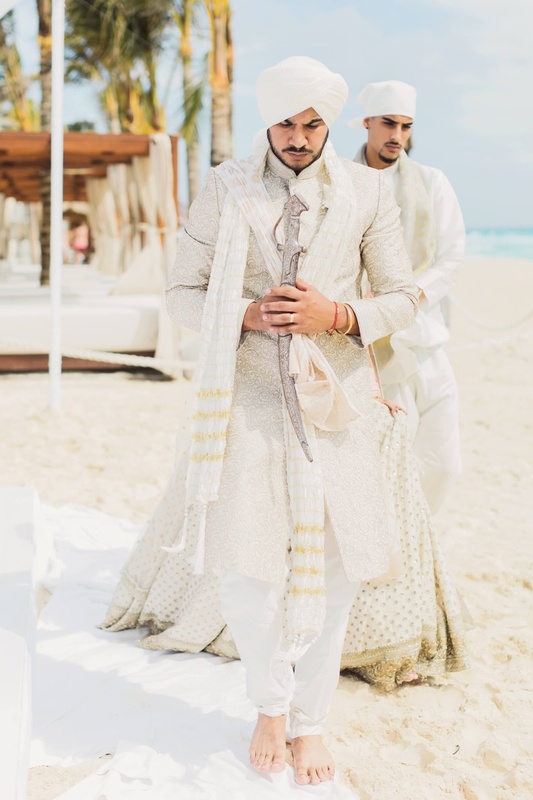 From an all white lehenga with pastel bangles to an open mandap on the beach, this wedding is one to watch out for! 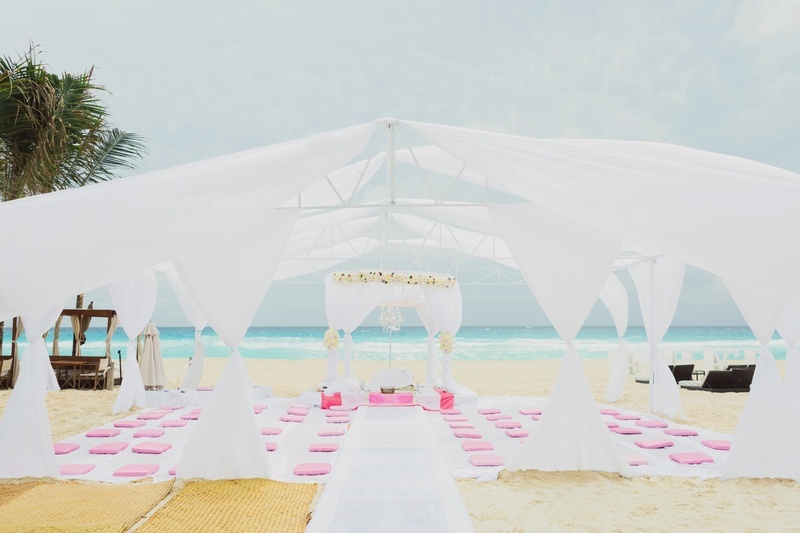 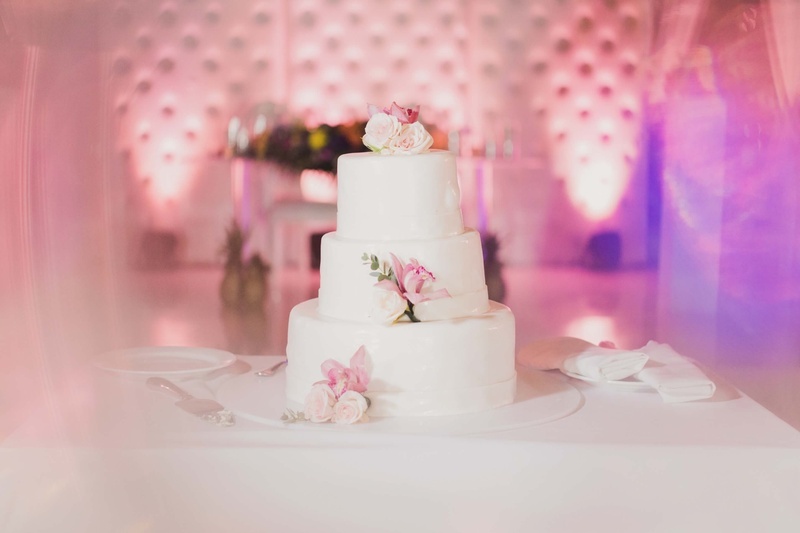 The wedding was held on the white sand beaches of Cancun, Mexico, adding to the all white theme of the wedding. 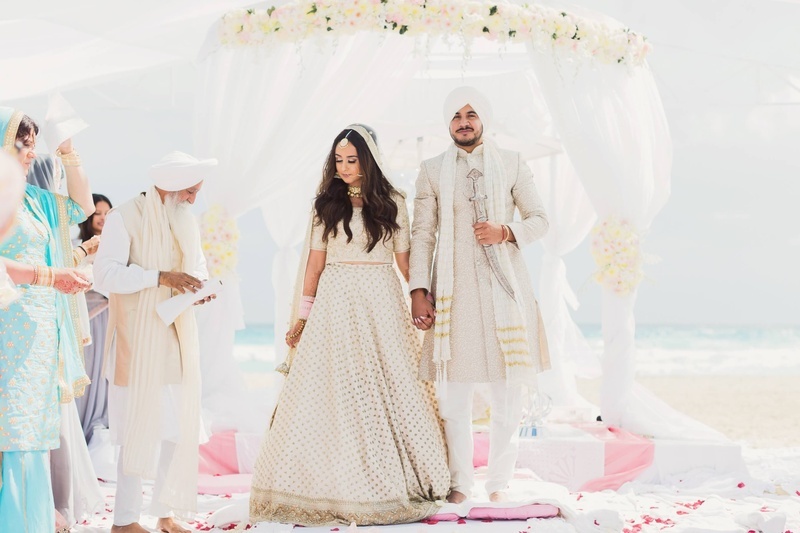 An open, tented mandap with flowing white fabric consisted of the main wedding decor, with white floral details adding to the beauty! 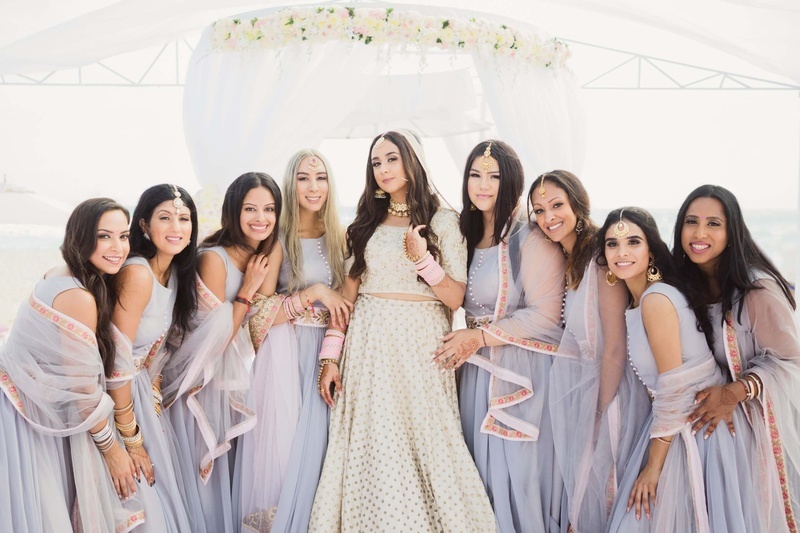 We also loved how the bridesmaids were dressed in matching smokey grey lehengas, with accessories and details in pastel colors. 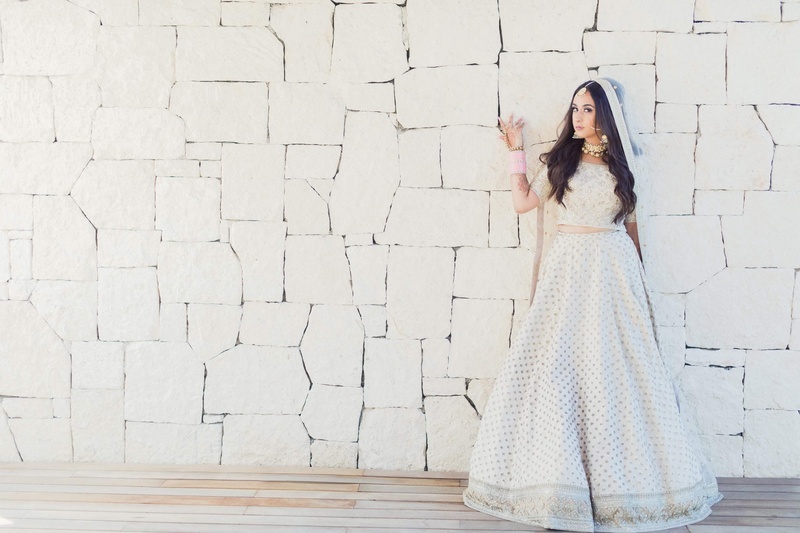 Don't miss out on the gorgeous, minimally designed kaleere of the bride!